Are you ready for the hot times ahead? 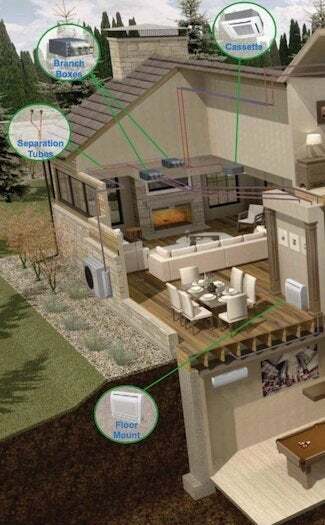 This year, beat the heat and keep your home cool all summer long with a versatile, unobtrusive system that doesn't require bulky ductwork—or the extensive renovation it typically entails. Summer never fails to usher in higher temperatures. And, unfortunately for the typical homeowner, the season also tends to bring higher energy bills. After all, homeowners across the country rely on air conditioning to maintain a comfortable indoor environment, and as conventional cooling options are infamous energy hogs, their operation usually incurs a considerable cost. Year in, year out, you may face a familiar, frustrating choice: Unable to have both at once, you must trade comfort for savings, or savings for comfort. Only one innovative technology enables homeowners to enjoy both. Mini-split systems from leaders like Fujitsu General minimize energy consumption and running costs without sacrificing performance. Whereas older, increasingly outmoded systems typically score Seasonal Energy Efficiency Ratio (SEER) ratings between 4 and 10, the Fujitsu mini-split operates at a jaw-dropping 33 SEER. Indeed, many Fujitsu mini-splits are certified by Energy Star for their ability to deliver cooling at a savings of up to 25 percent over less efficient systems. Another reason for the growing popularity of mini-splits—easy installation. Traditional central air can be challenging to retrofit or extend, in large part because it depends on elaborate networks of ducts. Mini-split systems, by contrast, can be completely ductless, if desired. For this reason, they are often much more compact, taking up only a fraction of the space ducted systems occupy. Because they’re so compact, mini-splits lend themselves to unobtrusive installation that entails neither the hassle nor expense of remodeling. A basic mini-split consists of nothing more than an outdoor condenser and an indoor unit. (Here, in contrast with traditional AC, there’s no need to make room in the basement or attic for an evaporator.) Thin copper tubes, narrow enough to fit through a discreet, three- to four-inch opening in the home exterior, run between the condenser and indoor unit. Those tubes carry refrigerant from the outdoor unit to the indoor unit, so it can distribute conditioned air into the space. A single outdoor condenser can power multiple indoor units. With Fujitsu, in fact, a single condenser can run as many as eight indoor units positioned throughout the home. To help homeowners incorporate all those indoor units discreetly, manufacturers like Fujitsu offer a range of designs. Wall-mounted units install above eye level, while floor-mounted units work best in rooms with minimal wall space, such as kitchens. 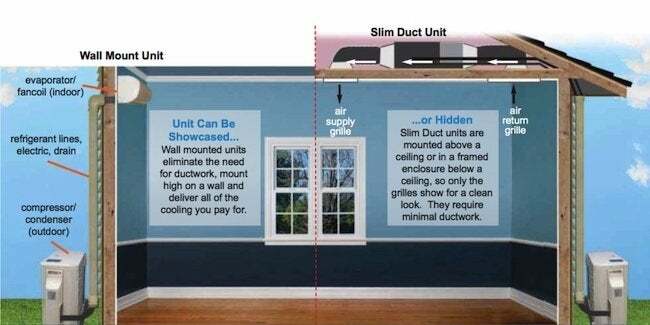 Slim-duct units, yet another option, can be recessed into the ceiling, where they remain virtually hidden. Want even more evidence of mini-splits’ versatility? Look no further than their ability to target temperatures on a room-by-room basis. With traditional central air, if you want to cool any room, you must cool all rooms. Besides being unnecessarily expensive, all-or-nothing cooling ignores the fact that different family members often prefer different temperatures. With a mini-split, you can not only save by cutting back on cooling in rarely used rooms, but you can also put a stop to feuds over the thermostat setting. Perhaps best of all, homeowners can depend on mini-split systems for comfort, not only in summer, but in each and every season, year-round. Take the Fujitsu Halcyon, for example. Here, the push of a button switches the system from cooling to heating mode. In cooling mode, the condenser draws heat from inside the home and expels it outdoors. In heating mode, the operation reverses, harvesting heat from the outdoor air and channeling it indoors. More attractive than window units, more compact than central air-conditioning systems, and more efficient than either one, mini-splits offer a compelling climate-control alternative that, while already popular in Europe and Asia, hasn’t yet gone mainstream here at home. 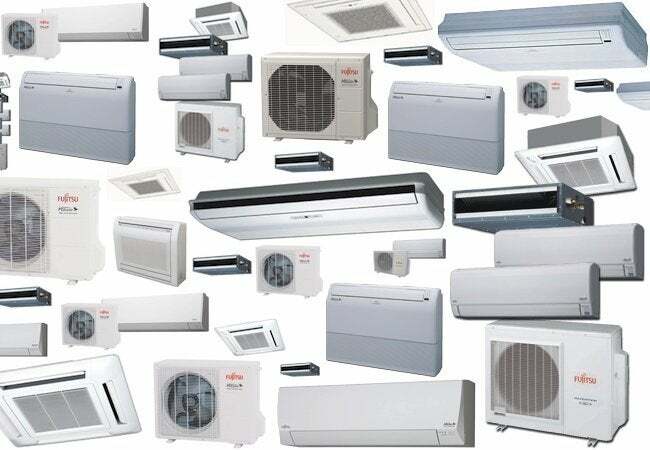 That’s all changing, though, as more and more homeowners discover the features and benefits of versatile mini-splits. Ready to take the next step? To find a Fujitsu General contractor near you, call 888-888-3424 or go online right now to visit www.constantcomfort.com. This articles has been brought to you by Fujitsu. Its facts and opinions are those of BobVila.com.